Are shin splints keeping you from walking? You probably spend lots of time trying to find the best walking shoes for shin splints right? That process alone can turn out to be so exhausting and time consuming. Think about it…You’ve got to look for a magazine that covers the topic or do a ton of searches online to find what you’re looking for. Or, you could visit the mall where you’ll spend time looking for parking and even more time dealing with busy store crowds. None of those options sound overly appealing right? Well now you don’t have to strain your mental muscle anymore. This list will give you 15 of the best walking shoes for shin splints. How ‘bout that? All you have to do is read through this list, pick the shoe you want and simply order it…all from inside your fortress of solitude. It’s that easy! Now a word of caution. Some of these shoes may not win you any fashion contests. But that’s okay because you’re not looking to become some young thundercat with street swagger. No. You’re looking to make a small investment in your strolling happiness. You want to enjoy one of life’s simple pleasures of free mobility on your own terms. You want to stop having nagging shin pain so you can spend time with your partner, spouse, kids, grandkids, or even Fido. That’s why you’re here. Now that that’s settled and all the trend hunters are gone, it’s time to dive in with both feet. First up are these pair of New Balance shoes. If you’ve ever owned a pair of NB shoes then you know what to expect. With an insole that’s thick and won’t flatten under your weight, these are as comfy as they come. You probably won’t even notice them on your feet given how light they are too. If you’ve got wide feet and narrow heels, this shoe is perfect for you. The wide toe-front means your toes won’t be pressed together. It also has a tall instep to give you great foot and ankle stability on those long walks. Speaking of long walks, if you’re the type of person who’s constantly moving around all day, you should definitely consider getting these shoes. Your feet won’t even sweat in them thanks to the tiny holes that let them breathe. The arch support is fairly decent, although it’s not on the same level as higher end NB models. But that depends on your foot shape. So if you get them and you need more support, a pair of orthotics will do just fine. In terms of price, the shoes are pretty affordable. And because they are New Balances, the quality is as good as you’d expect. They also come in a few colors: black, black-white, grey-white, or white-blue. So you’ve got some variety. Want to see what folks are saying about the New Balance MW411V2 Walking Shoe? Just click the button to find out more. The folks at Brooks are all about the green and that doesn’t mean money. It’s means sourcing sustainable materials to produce amazing footwear. Check out the Brooks story here. 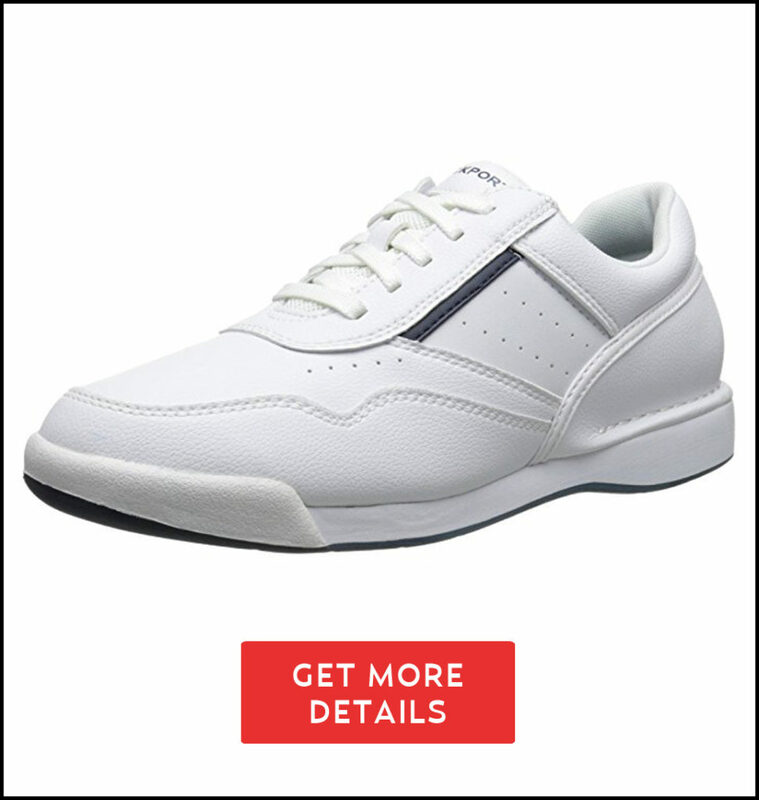 These shoes have specially designed soles which keep your feet in a balanced position. This means you get complete range of walking motion and flexibility when planting your heel and lifting your toes. If you do a lot of walking, this shoe will be perfect for you. Especially if you have flat feet that pronate outwards when you’re walking. In those cases some podiatrists recommend pairing your Brooks with a good set of orthotics. This can help protect your feet and reduce the stress on your shins. One thing worth mentioning is the sizing. It seems that the Brooks Addiction Walker tends to run a bit small. So if you decide to buy a pair, you should consider a slightly bigger size than what you normally wear. As far as quality goes, these shoes are built well. Even if you’re the type of person who spends 8-12 hour days walking on hard surfaces like concrete, these puppies won’t let you down. And of course the toe-box has ample room for your toes. Given all that you get from these shoes, the price is probably way too low. You’re getting an insane amount of value out of these shoes. Heck, you even get an option for ‘brown suede’ in addition to the black and white colors. If that’s not enough for you, you should probably go barefoot. 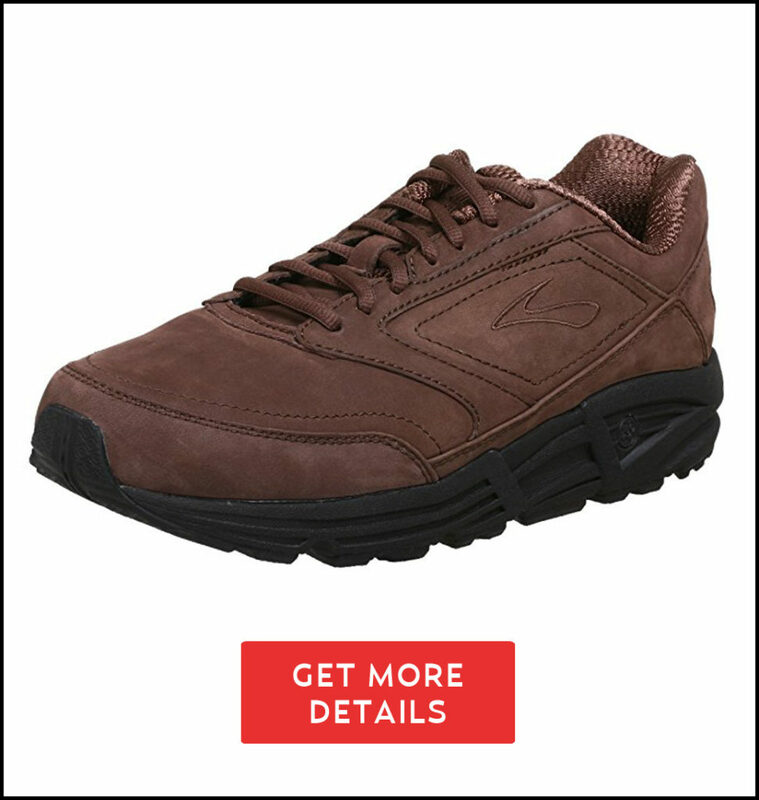 Want to see what folks are saying about the Brooks Addiction Walker Walking Shoe? Just click the button to find out more. Skechers are well known for their shoes. So it’s no surprise that they’d have one of the best walking shoes for shin splints. These shoes have dual midsoles made from Resalyte foam. That’s the kind of foam that cushions your feet without getting flat. It also uses Skechers patented Goga Mat® technology. In lay terms it means the soles are similar to a high-end yoga mat. Yoga for your feet?…Yep. And it won’t cost you an organ like a high-end yoga studio. So you’ll get a shoe that’s ultra comfy, lightweight and easy on our feet. Although the soft sponge-like feel will be different, you’ll quickly get used to it. And even with all that cushioning, you still get good arch support and a lot less fatigue on your feet and shins. In terms of sizing, the shoes are pretty much a 1:1 match. That’s good news for you. So if you’re a 10, you should probably grab a 10. Unless you like the idea of having extra room, in which case you’d add a half inch. Although these Skechers received highly favourable reviews from many owners, quality is a mixed bag. Some folks have said that the rubber grip tends to wear faster than normal. They also say that it’s a bit tight in the toe area. 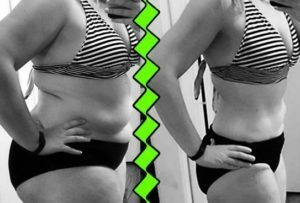 However, this probably has more to do with poor walking technique and improper sizing. Whatever it is, there’s no denying the overall comfort of the shoe from a reputable brand. There’s a good chance you’ve owned, tried on a pair or had someone tell you about their Skechers. And if you’ve ever been to the Skechers store, you know that they offer something for everyone. For instance, this Go Walk 3 shoe can be had in a whopping 13 different colors. These include khaki, charcoal-orange, and navy-lime. You’ll definitely find one that suits you. 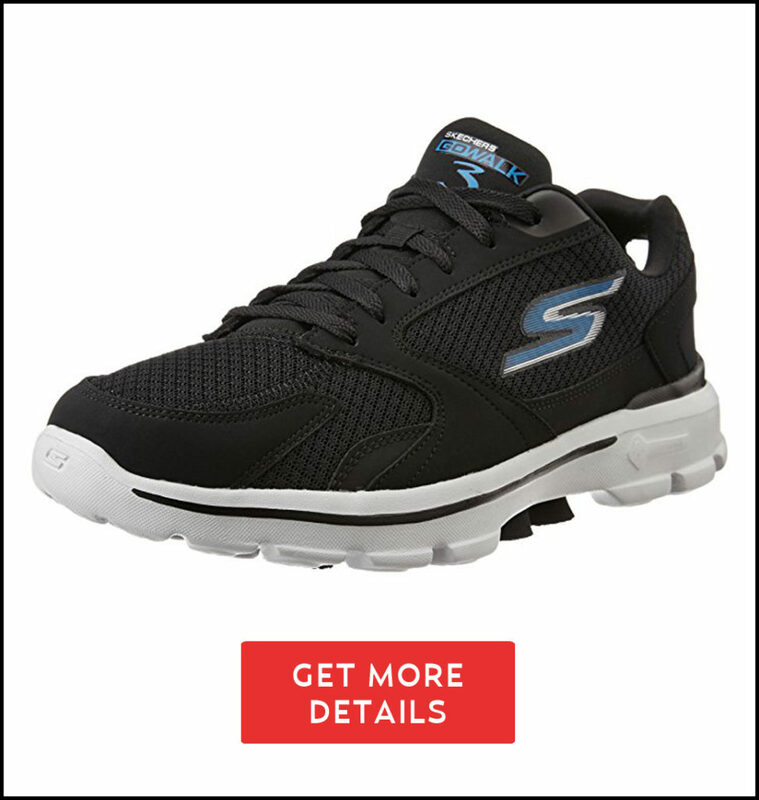 Want to see what folks are saying about the Skechers Go Walk 3 Walking Shoe? Just click the button to find out more. With that kind of guarantee, the quality must be impeccable. Sure enough you get a shoe with a thick midsole to absorb impact from hours spent walking or standing on your feet. They hug your feet thanks to the elastic neoprene collar and soft leather material. 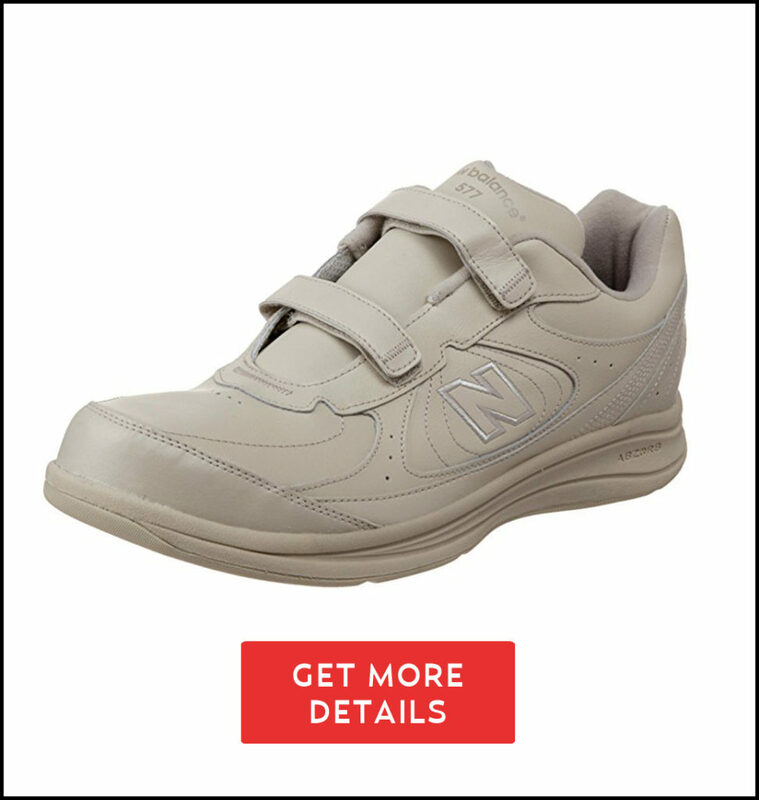 Nurses will probably love these shoes because they have no laces. Out of the box, they’re ready to be worn with virtually no break-in necessary. Sizing should be a 1:1 match making it easy to pick your size. The price is decent for what you get as well. Another thing about these shoes is that they can be tossed in the washing machine. Just make sure you use the cold-water cycle and air dry them afterwards. You can also pop out the shock-absorbing nylon insole for easy cleaning as well. In keeping with the minimalist theme, Propét gives you just two color choices: black or white-navy. This makes it easy for you to choose without having tons of options. 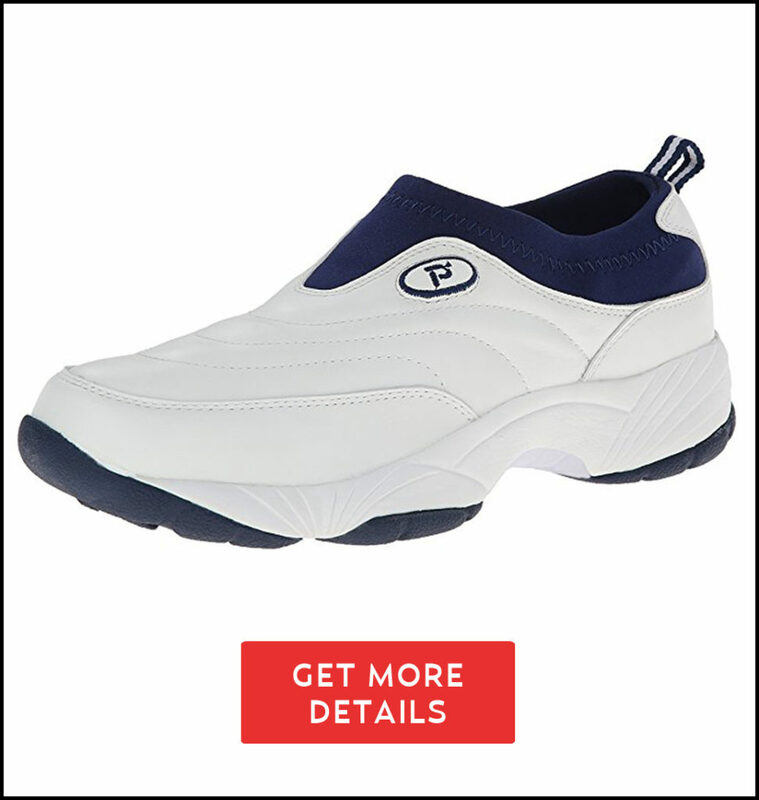 Want to see what folks are saying about the Propét Wash and Wear Slip-ons? Just click the button to find out more. This Rockport is a rugged looking shoe. But don’t be fooled by its looks because the company has been saving feet since 1971. And they make one of the best walking shoes for shin splints. A combination of rubber, EVA and latex gives you all you need for life’s unexpected movements. Those materials help the shoe to contour and flex with the natural movement of your feet. And the result is less stress and more cushion for the…steppin’. Speaking of cushioning, the soft flexible footbed has extra support for your heel. Rockport actually uses technology from Adidas called ADIPRENE. It’s basically shock absorbing tech that displaces force evenly across your foot bottom. Also the mesh lining keeps your toesies nice and dry. One of the good things about the sizing is that you get the choice of added widths. So if your feet could rival Daffy Duck’s, you’ll have no problem finding a comfortable size. The only knock against the Rockports are the laces. Some folks have complained that their laces don’t stay tied. Assuming these aren’t kindergarten kids, one solution could be to swap out your laces. Ta-Da!…problem solved. These Rockports can be had in dark brown-black or black. That means they’re casual enough to wear to the office or dinner…if dinner is at Applebee’s. 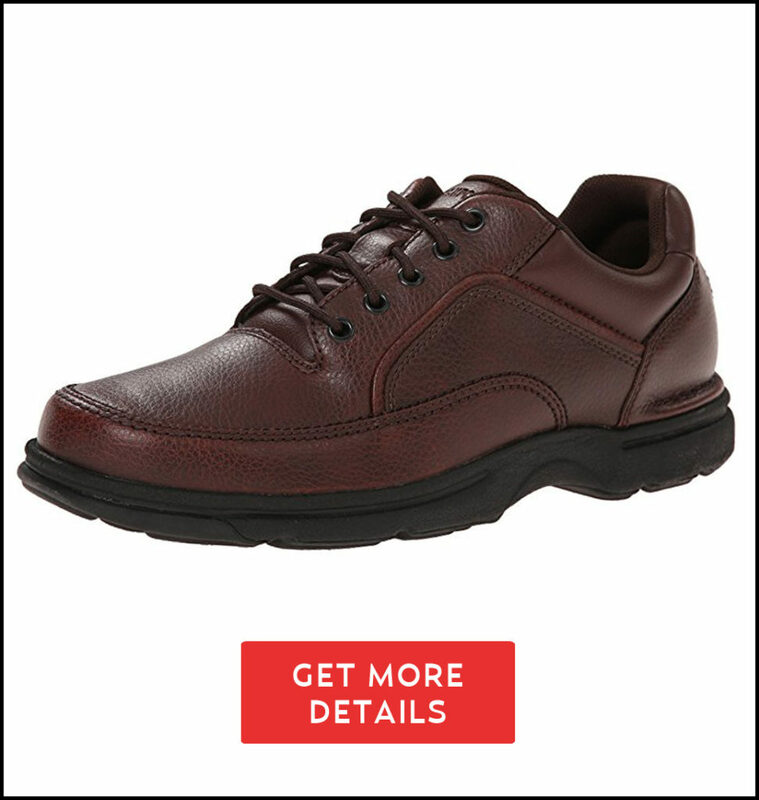 Want to see what folks are saying about the Rockport Chranson Walking Shoe? Just click the button to find out more. Alright, you already know all the good stuff about Rockports. So you just need to know why these are different. For starters, you get a different cushioning system with these shoes. 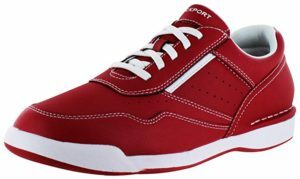 It’s something Rockport refers to as “San Crispino construction.” All that means is this is a comfortable everyday walking shoe. The soles of your feet will have natural flexibility and added stability. You can also replace the standard soles with some orthotics if you need more arch support. Sizing is more or less the same. And since this shoe is even more casual, you get more colors to choose from. These are black, brown, chocolate and chocolate nubuck. The folks at Rockport must all have an addiction to confectionaries. 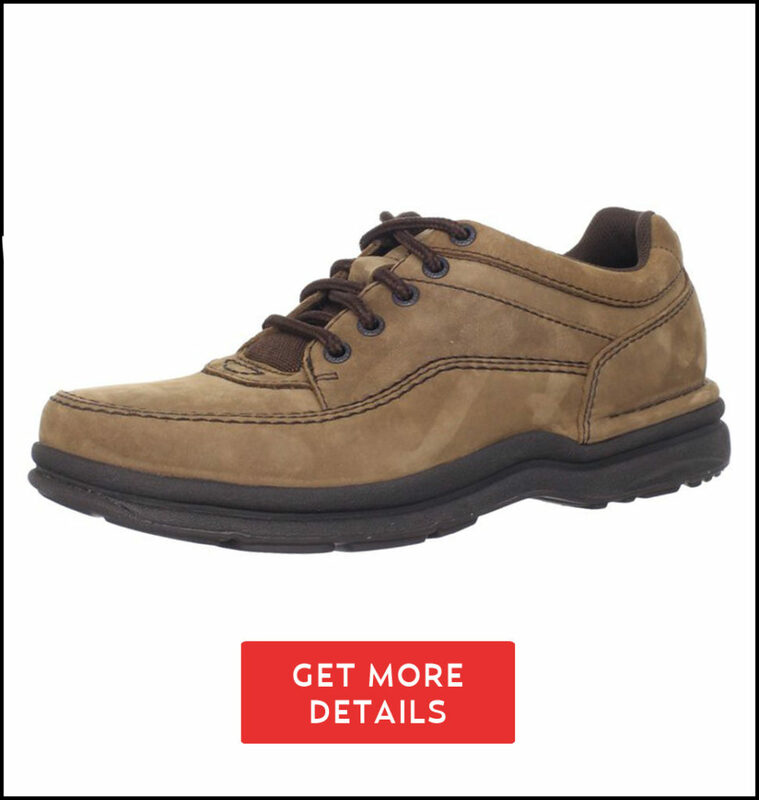 Want to see what folks are saying about the Rockport Eureka Walking Shoe? Just click the button to find out more. Ahh…the classic looking Rockports. Though the M7100 may sound like it’s some kind of tank, it isn’t. Those who can appreciate the classic and casual oxford style with a rocker profile will love this shoe. You’ll get all the Rockport goodies with this shoe – cushioning, durability and quality. But that’s not all. You also get more colors to choose from. And one of those colors happens to be a hot looking red-white combo like the one you see in the picture. Très beau! By now you should know that sizing is pretty much the same. Rockports are consistent in their offering and these should be a 1:1 match as well. The only difference with this shoe is the material and design. It’s got a textured leather upper with a rounded toe, along with padded tongue and collar for maximum comfort. 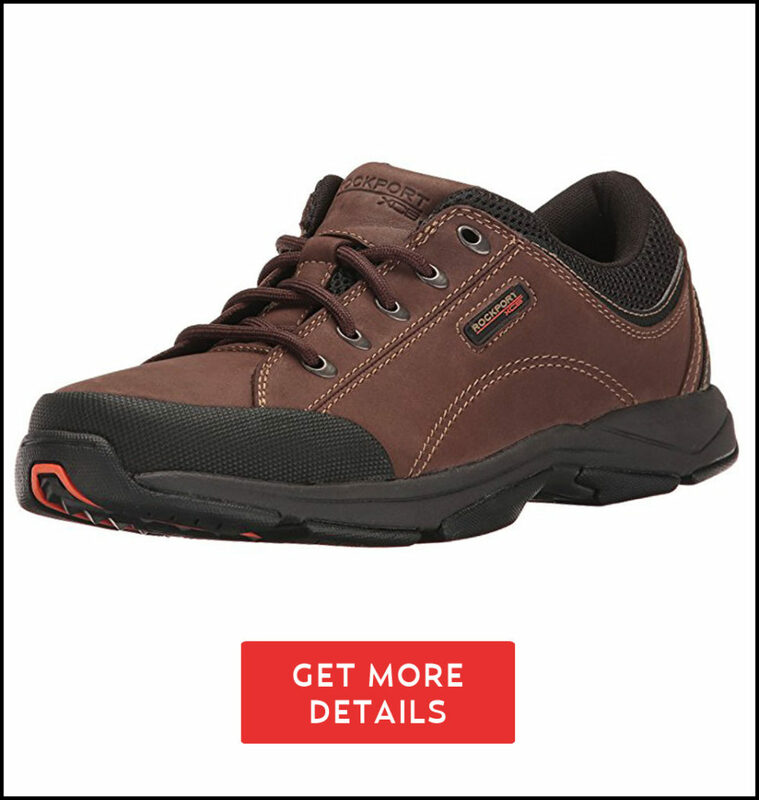 Want to see what folks are saying about the Rockport M7100 Pro Walker Walking Shoe? Just click the button to find out more. New Balance is another well known brand. Their shoes have such a great reputation and variety. So much so that this list has 6 of them. Only Rockport is their closest rival. There are five things that make these shoes great for you. The first thing to catch your eye is the classic synthetic-and-mesh design flanked by the famed ‘N’ logo. Then there’s the padded tongue and collar for added comfort. That comfort also continues with the rubber sole. Finally, and more importantly, is the foot support. You get New Balance’s ABZORB midsole cushioning to soften every step you take. And the Walking Strike Path technology means there’s no stressful impact on your heel. So your New Balance shoes are lightweight and comfortable but what about the fit? Well the toe area has enough room that your pinky toes won’t be protesting in pain. And there are a variety of sizes as well. You should have no problems if you select your true fit as sizing is almost 1:1. The shoes are also affordable. However, there isn’t much in the way of color choices with the MW877. Your only option is grey. 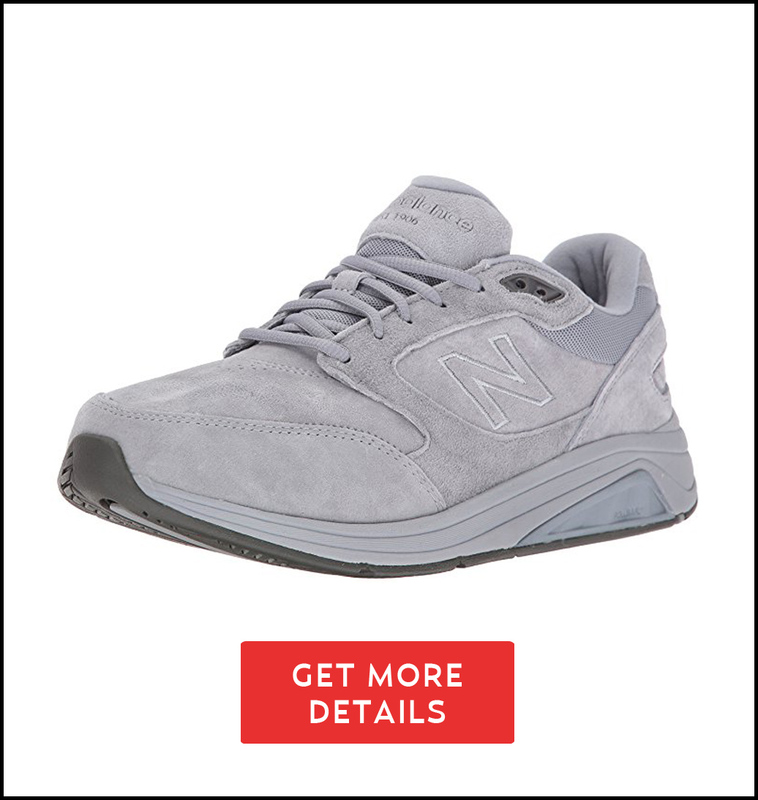 So if you want another color, you can probably skip this shoe. Want to see what folks are saying about the New Balance MW877 Walking Shoe? Just click the button to find out more. 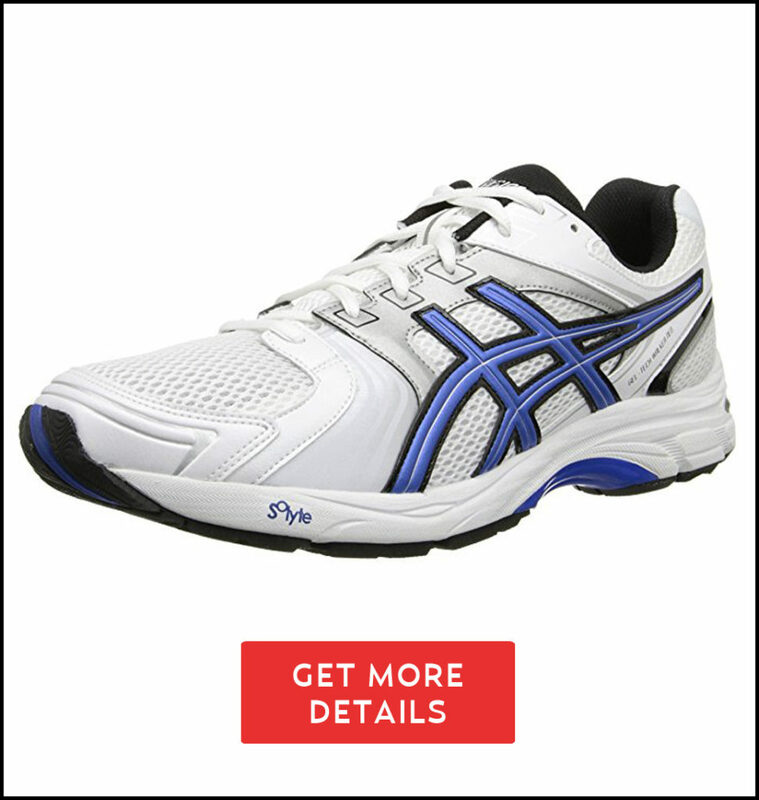 Why do most consumer reports, walking magazines, and medical professionals recommend these Asics? Because they’re one of the best walking shoes for shin splints. You want arch support? These Asics have it. But that’s not all. The insoles have memory foam technology as well. Talk about ultra comfort and cushioning! And with all that walking you’ll be doing, your feet won’t get warm and sweaty. Why? Because the breathable mesh keeps your feet cool and dry. The shoe itself is very lightweight. Instead of rubber, a lighter foam material is used for the base of the shoe. That means your heel doesn’t get abused by the stress of walking around for 10+ hours a day. However, there are some drawbacks with the width and insoles. The shoes are a bit narrow and wider options aren’t available. As for the insoles, those can’t be removed. So if your foot attracts Pepé Le Pew you may need an odor repellant. Baking soda anyone? Even with the narrowness, the sizing is pretty much on point. And despite the design, your toes won’t get squished as much or cause you lots of fatigue. The price is just a few dollars over a hundred bucks. And that seems fair for what you get. You can also buy the shoe in either black or a white-royal-black combo. Want to see what folks are saying about the Asics GEL-Tech Walker Neo 4 Walking Shoe? Just click the button to find out more. Like the Propét, the MW577 is as exciting as a pet rock. But looks aside, the shoes have helped thousands of people with foot problems. 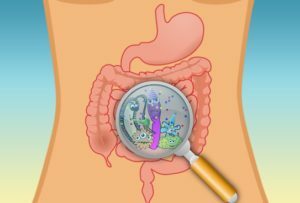 You probably wouldn’t want these if you’re a younger person or not in the medical field. If that’s the case, just skip this shoe. If you hate laces and just want something simple, this shoe is for you. As you can see it uses the old hook-and-loop (a.k.a. Velcro) design to keep your feet secure. This makes it easier to just put them on and go about your day. For comfort, the shoe has a nylon insole and flat bottom. The grip on the bottom is also spread out evenly for better traction. So if you tend to walk on your toes, you won’t have to worry about instant wear and tear. 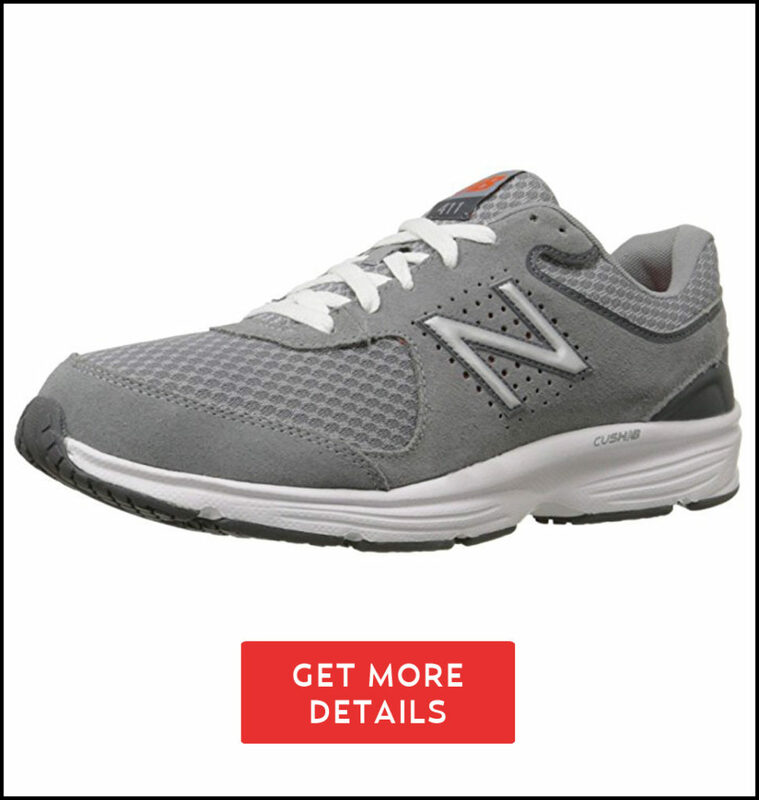 You also get New Balance’s ABZORB technology with this shoe. And the tongue and collar are padded for extra comfort as well. Although the nylon insole provides ample support, you can certainly swap them out for some custom orthotics. This is only necessary if you find yourself on the heavier side of human nature or you subject your feet to inhumane walking conditions. One of the drawbacks to this lightweight leather shoe are the velcro straps. It can sometimes be hard to pull the straps and get them over to the other side. This might be an issue for folks with arthritis. If that’s you, then consider getting the laced version below. Since the shoes are very basic looking, the price is low. And your color options are either black, white or bone-white. It’s one simple straightforward shoe. As for sizing, you do have the option of getting wide versions of these shoes. 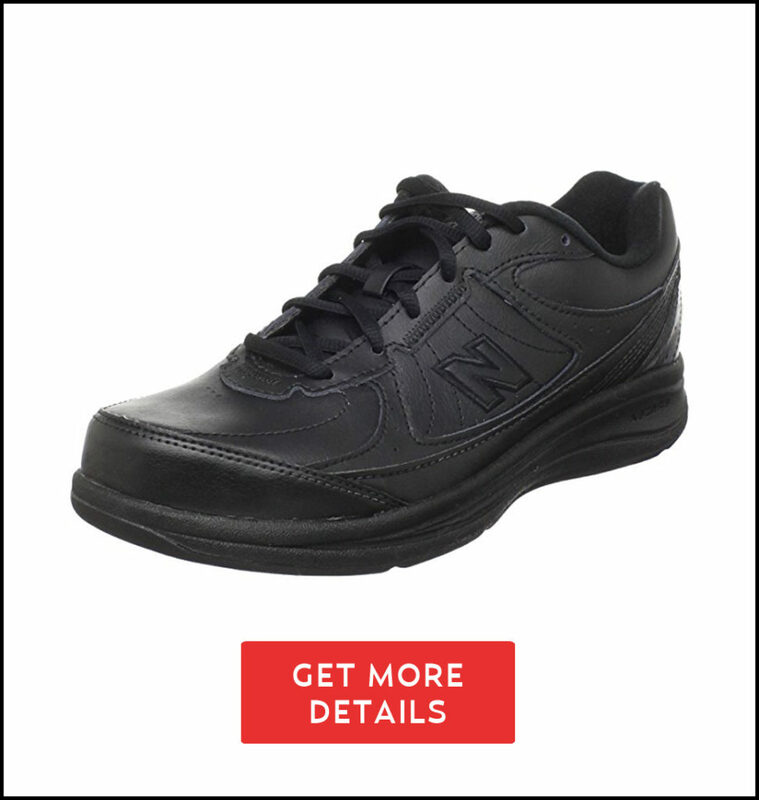 Want to see what folks are saying about the New Balance MW577 Leather Hook-and-Loop Walking Shoe? Just click the button to find out more. For those who hate the whole Velcro look of the MW577 Hook-and-Loop shoes, this is for you. 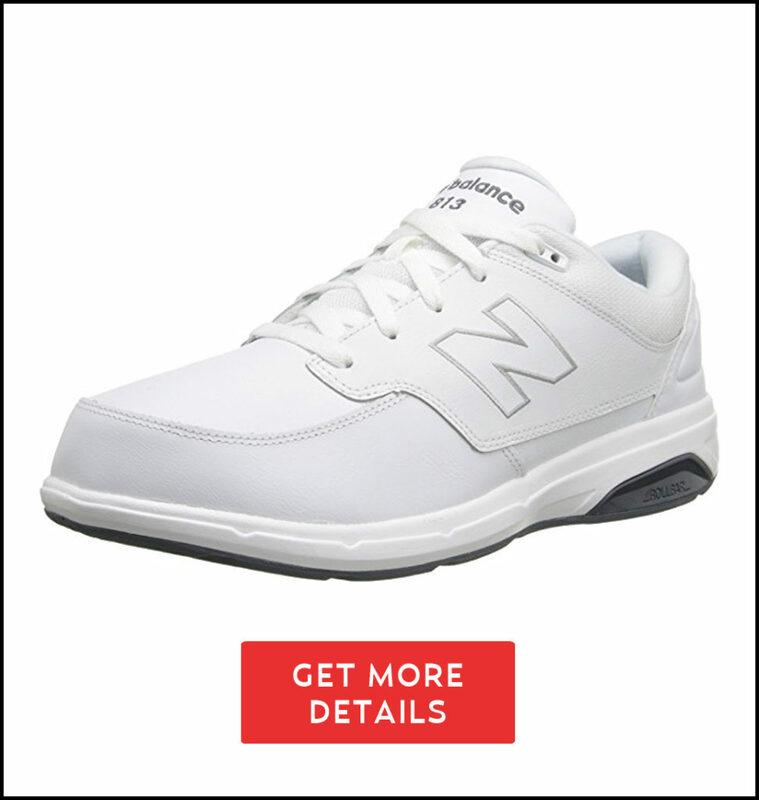 This is the exact same model with all the New Balance goodness. The only difference is you now get laces instead. And it comes in black or white. Everything else is pretty much identical in terms of grip and insoles. So if you can’t stand the look of the Hook-and-Loop MW577, get these. 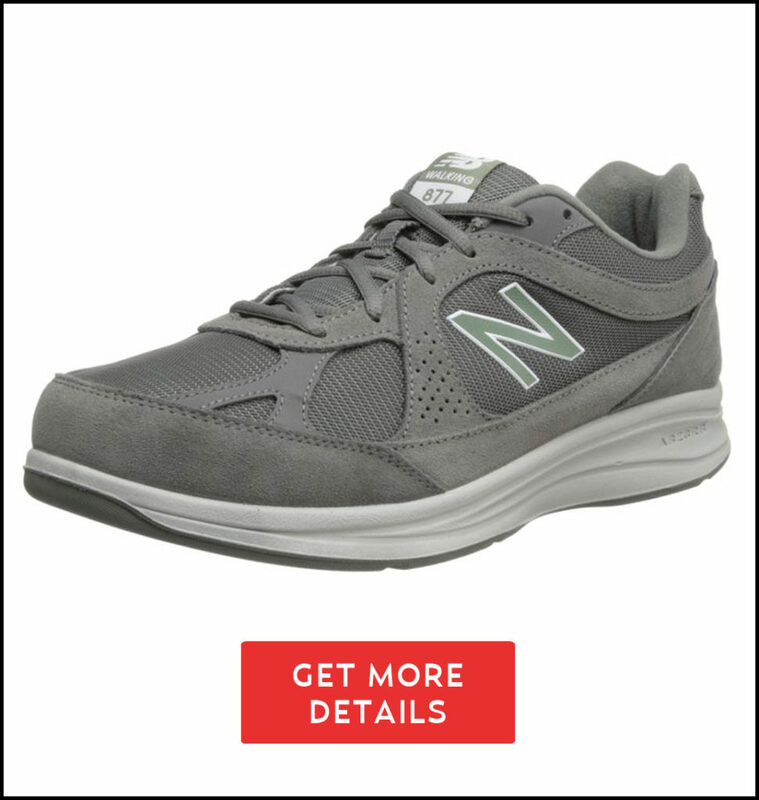 Want to see what folks are saying about the New Balance MW577 Walking Shoe? Just click the button to find out more. Rockports baby! Get you some Rockports! The World Tour Classic shoe actually sells like hotcakes. You get all that along with Rockport’s specially designed outsoles. These soles support your natural walking motion while providing the stability you need. Sizes are abundant in both length and width. It’s also a virtual 1:1 match so you can get your true size. As for the colors, you get 15 different combinations of leather and nubuck. Talk about choices! These classics are just about casual enough for work and play. And the price definitely matches the quality you’ll get. Want to see what folks are saying about the Rockport World Tour Classic Walking Shoe? Just click the button to find out more. 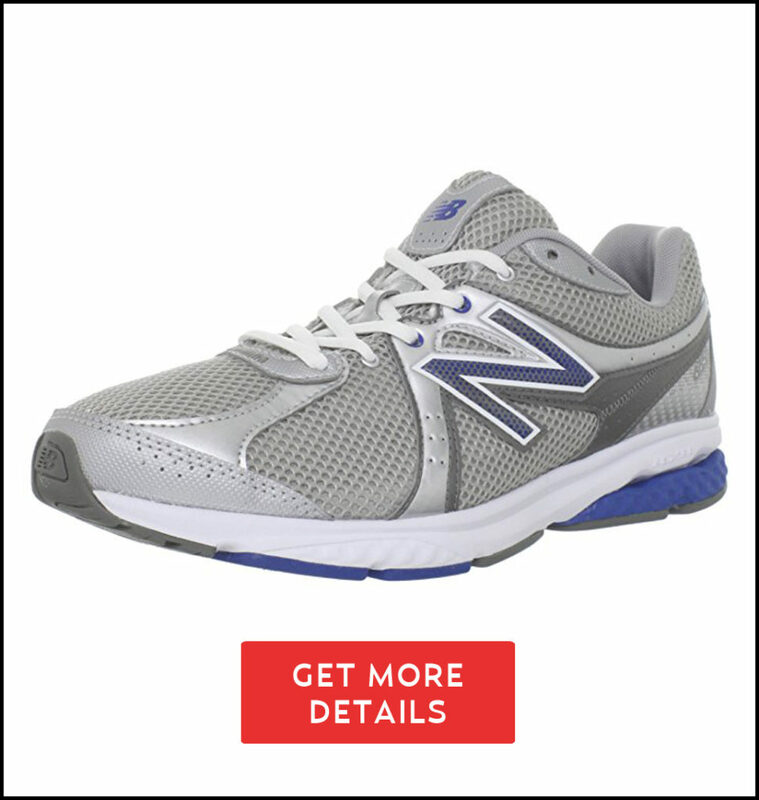 As you already know, NB offers some of the best walking shoes for shin splints on the planet. And they are also the only company still making shoes in the USA. With the MW813 shoe you get a business-like shoe with the comfort and feel of a sneaker. They’re also lightweight, sturdy, and easy to wear. And thanks to NB’s Rollbar® technology, you get cushioning from your heel right through to your toes. If you really want great relief from foot and leg pain, buy some orthotics. When combined with this shoe, it corrects your foot and leg alignment. Of course the shoes are durable as well. NB spares no expense in giving you a custom foam midsole surrounded by leather and comfortable collar. You certainly won’t question the design with how good your feet will feel. The price isn’t astronomical either. It’s right around a $100 or so. And for that price you can choose black, white or brown colors for you next shoe. If there’s one thing that’s wrong with these shoes, it’s that you probably need to buy orthotics. Why? Because most people spend hours on their feet and need a lot more support. But the inserts are removable so swapping them out should be a breeze. Want to see what folks are saying about the New Balance MW813 Walking Shoe? Just click the button to find out more. These NB’s are a bit more sporty looking than the rest. You can tell just by looking at them. But the MW665 has a few things that make it great. The soft sole provides great cushioning to absorb your body weight on firm surfaces. And it does this without being too soft. The sole also has just the right amount of flexibility that you barely notice it while walking. In addition to being super lightweight, the shoe is well-balanced. Throughout the base, there’s a flow that isn’t too high or low in the front or back of the shoe. The toe area also gives your toes ample room without the squished feeling. And finally, the shoe offers great breathability. Its light mesh-like material keeps your feet from getting sweaty or stink. Although if you walk in the rain all of that could change. But at least you’ll have fun though, right? Sizing isn’t an issue with this shoe. Like most NB’s it’s a 1:1 match. You also get to choose between wide or narrow options. And the price is fairly affordable. The only drawback is you only have one color choice: silver-blue. It’s not that bad but a black or white version would have been nice. It’s still a solid shoe nevertheless. Want to see what folks are saying about the New Balance MW665 Walking Shoe? Just click the button to find out more. The MW928V2 is a replacement for the MW928. So what’s new? Well the soles were drastically improved. You now get extra heel support for better comfort when walking. The arch support is also improved in the new version. And yes, you can still swap out the soles for orthotics. Another improvement is the width. The older models were almost too wide. So your feet felt like a sausage in a hallway. Now the MW928V2 is a bit narrower and offers a better width selection. You also get a couple of colors to choose from as well, four actually. The black, brown and white are in soft leather. The fourth option is a grey-white which is a suede-like material. As usual, size is pretty much 1:1. The price is almost comparable to the Rockport World Tour. And depending on your needs, you’d be better off with the Rockports. Apart from the price, the laces are another minor issue with these shoes. Pulling them can be a pain and they come undone fairly easily. Of course, you can just swap them out if you want. Overall this is yet another decent NB shoe. Want to see what folks are saying about the New Balance MW928V2 Walking Shoe? Just click the button to find out more. There you have it folks. You’ve finally got your list of the best walking shoes for shin splints. As time goes on and technology advances some of these shoes might die. But for now, they’ll help you get around. Always remember to get proper shoes and orthotics for your feet. If you’re still on the fence, jump off and grab a pair. Or, head to your podiatrist and have them hook you up with some recommendations. 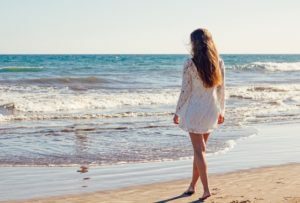 Enjoy the freedom of walking while you can… it’s a wonderful thing!